Morning Man Classic: Randy Stoklos! 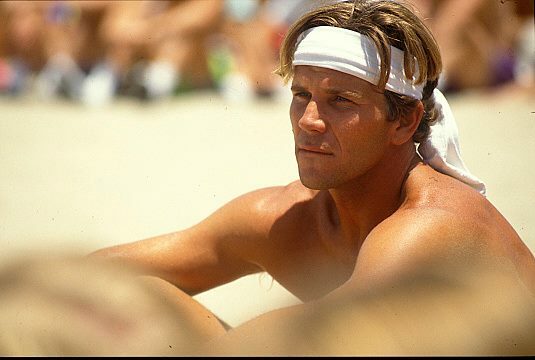 There was a time, in the late 1980s and early 1990s that I spent plenty of Sunday afternoons watching men’s beach volleyball on NBC. 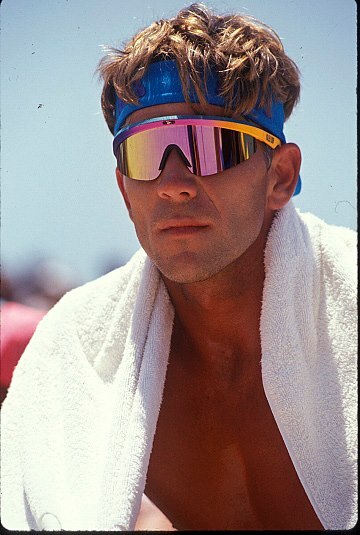 One of the biggest reasons was hunky Randy Stoklos who was a four-time winner of the Manhattan Beach Open and the tour’s biggest heartthrob. 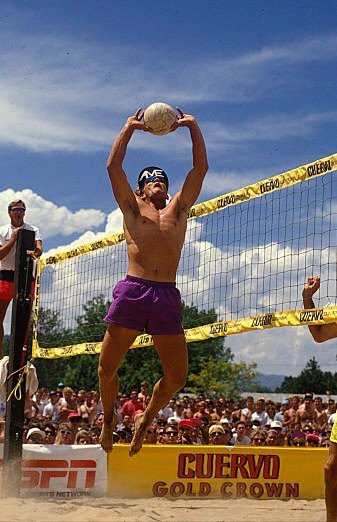 Randy, now 53, was the first player to earn $1,000,000 in beach volleyball, won one U.S. championship and Five World championships with Sinjin Smith. With 123 career wins, he is third all-time list. Randy was inducted into the Volleyball Hall of Fame on October 23, 2008. 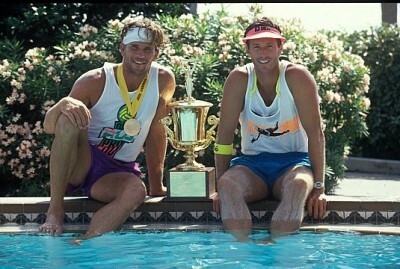 Randy played college volleyball at UCLA now owns a beach volleyball camp for kid in Santa Monica, Califorinia.